Since I’ve gone crazy for caneles recently, I thought it was worth noting that Jacques Torres’ Hudson Street store had a display of caneles on sale a few weeks ago. I asked if they were made by the only MOF pastry chef in New York–Jacques Torres. Surprisingly, I was told they were not made by Torres but by Florian Bellanger from Cupcake Wars and MadMac macarons. The caneles were quite good although I think they had been out for some time and didn’t have any crust. At $2 each they did go very well with my frozen hot chocolate. Jacques Torres locations are here. Their website is here. 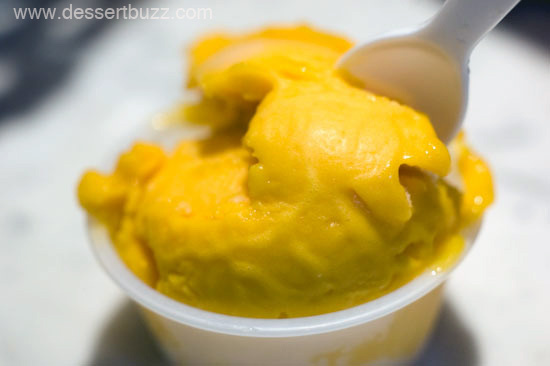 More coverage of Jacques Torres is here. Follow DessertBuzz on Twitter. 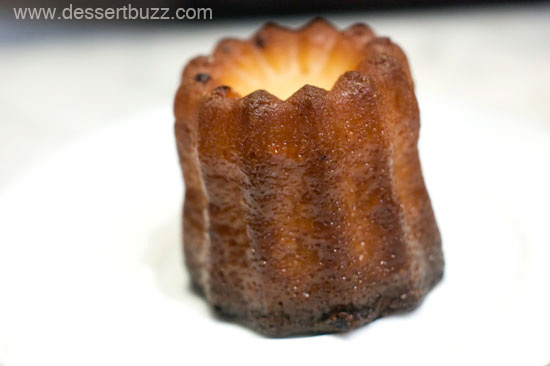 More posts on caneles.